We have set aside thousands of good running Used Lexus Engines. Many have low mileage and all have verified histories. If you have an older model and need a Rebuilt Lexus Engine or a Remanufactured Lexus Engine for a guarantee of another lifetime of driving, we have them ready to ship. The type of Replacement Engine depends upon your expectations. Call with your VIN and tell us what happened. Our representatives are courteous and generous while our prices kind. Shipping is free for deliveries to US and Canada. It comes with Real-Time tracking at no additional charge. Our family only procures Used Luxury Auto Engines from trust-worthy sources. Multiple point checks are performed to ensure adequate outputs and to eliminate performance problems. All Rebuilt Engines and Remanufactured Engines are restored to their respective manufacture ratings by our engineers – man to machine. Our simple business model affords personalized service and great prices like no other. Need help after hours? Call and leave a message! Welcome to AutoUsedEngines, quietly operating as the top distributor of Used Auto Engines for more than three decades. Lexus is wholly Japanese in origin and recognized as Toyota Engineering and design. 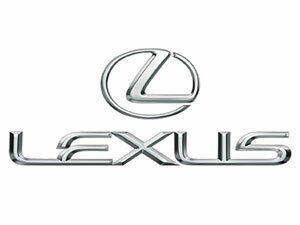 The luxury cars, sedans and SUVs are of a distinct quality known only to Lexus. For you, right now, it’s meaningless while yours is in the shop. Finding a Replacement Engine for your Lexus isn’t difficult, but ensuring it is of quality and reliability can be perilous. That’s our job. We’ve eliminated all potential hazards so you can have it dropped in and drive away. Our diligent focus is for Lexus acquisition and distribution of early 2000 models and younger. Many were yet to be labeled under the Lexus brand, but were sold beneath the Toyota moniker. For the American market, most are sold as a Lexus. Your VIN defines. For example, our huge dynamic inventory begins with the likes of a Used Engine for a 3rd generation LS model. This engine would be a 4.3 L V8 originally sold under the hood of a Lexus LS 430 model, but also known as a Toyota Celsior. Used Low mileage Engines are more commonly found in the later models like 4th generation Lexus RX that was sold with three different engine choices. The base RX model included a 2.0 L 4 Cylinder Gasoline Engine which was also sold within a Highlander, Venza, Camry or a Scion. This is a perfect example of the abundance of manufacture of a specific engine atop a shared platform increasing availability and providing lower prices. Our digital catalog scours sources instantly to provide top notch engines at agreeable prices for you. As always, a Replacement Engine is cheaper than buying a newer car. We can also source for Hybrid Engines, like those from Toyota’s GR Family of Hybrid Engines that was issued for the same RX model described above. More than a million Lexus vehicles have been manufactured since inception with the US consuming more than half of them and strewing billions of parts across the North American continent. We find them all. Lexus imports began right around the time of establishment of our family-run business and we took a keen interest in acquisition from the beginning. Not only are well versed in acquisition, our automotive technicians and engineers are highly qualified with this breed. In essence, if we do not have your engine in stock or cannot adequately source, it doesn’t exist. This is not likely the case and we can service any and all Auto Engines for Lexus models years. Call with your VIN and the shop address. Tell us what has happened. Discover how we can help you. It’s not so much about buying a Replacement Engine as it is your life. Treat it well.